Who are your best and most profitable Professional Drivers? Who are willing to take go an extra mile? Who has a great on-time performance record? Who keeps their equipment in the best condition? Who stays alert and pays attention? Odds are they are the most engaged Drivers. Who do you think are your safest Drivers? Actively engaged Drivers give more than 100%. They think about their job on the way to work. They wake up with fresh ideas. They speak well of their company to friends and other Drivers. They boost the morale of their co-workers. And none of this is in their job description. We all realize it is getting tougher to recruit and retain the high performers. Companies are raising pay and enhancing benefits. These are great short-term band-aids, but what will separate the highest performing companies from the rest as we move forward with new regulations, a skilled worker shortage, and potential predatory practices by competitors? Consider this: if you had a highly engaged workforce, what would your safety record look like? What would your performance record look like? How frequently would your equipment be in the shop because someone did not care about your truck? How many accidents would occur because of apathy and carelessness? An accurate predictor of retention is the Driver’s level of engagement. This is the degree to which the Driver identifies who he is as a person by what he does and for whom he works for a living. It is how well he enjoys his job, is proud to be associated with the company, and trusts that the company has his best interests in mind. Fairness. The number one ingredient in an engaged workforce is the belief in “fairness.” Whenever a Driver feels that anything is unfair, you have the opportunity to win his loyalty by explaining why it is that way; or by making it fair; or giving the Driver a choice. Always provide an issue resolution process. Never let a Driver with a grievance hit a dead end. Facilitating success. Companies can improve Driver engagement by helping him succeed in the following ways: offering adequate training, providing good, well-maintained equipment, and ensuring effective dispatching and prompt communications. 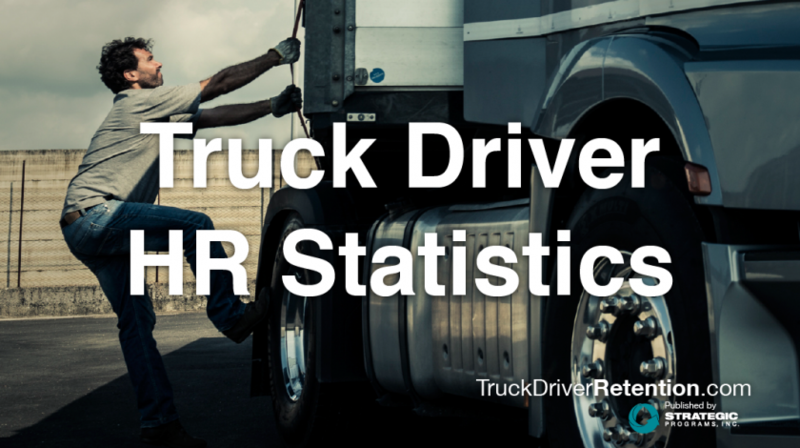 These factors combined contribute to driver engagement. Respect and appreciation. Respect and appreciation are essential. Competitive pay and benefits are important. These do not have to be tops in the industry, just in the ballpark. Create the feeling that the Driver is better off now than last year, and that he will be better off next year than now. Additionally, make sure that your fleet managers are respectful, honest and good communicators. To maintain loyalty and respect, senior leadership must be trustworthy and communicate honestly. In short, Drivers who are “present” and actively engaged are alert and a good safety risk.